There are women who pursue entrepreneurship because they have a creative vision to change the world. And then there are women who pursue entrepreneurship because they have to. Concerned about bringing a child into a world where an African American child was murdered, and no one seemed to care, Amber and her husband Kai came up with a plan to be as involved in their son’s life as possible: Kai would stay home with the baby, and Amber would continue at her job in tech. But then her water broke at just 31 weeks, and Amber’s son Kayson spent three weeks in the NICU. 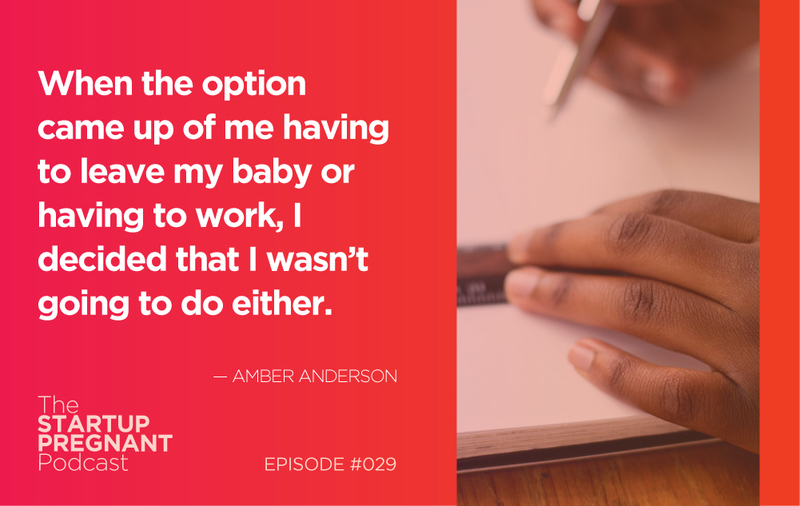 When Amber’s maternity leave was up, she decided she simply could not choose between work and family. She wanted to be there for her son, so she chose entrepreneurship out of necessity—to create a new model that would weave work and family together. Today Amber shares her family systems, explaining how she and her husband structure their days around their son. I ask her how she came to start multiple companies and how parenting has changed the way she shows up at work. Amber discusses the idea behind her latest venture, The New More, and what conference organizers can do to accommodate women. Listen in to understand the concept of a necessity entrepreneur and hear Amber’s take on how to evaluate success. Business strategist and thought leader Amber Anderson is the founder of Kayson, a business consulting agency that works with innovators, entrepreneurs, VCs and business owners to thoughtfully develop and strategically launch new products and services. Amber is also the co-founder of MORE, a community that is redefining balance by helping working parents advance their careers—without leaving their families behind. Loved this episode! Reflecting on my own experience, I was lucky that I wanted to become a mother in my 40s, so it was perhaps easier for me to take off work, as I did, for two years to focus on starting a family. Once I went back to work when my daughter was 18 months, I felt ok leaving her to work, while my husband was the primary caregiver, not work, but being a wonderful stay at home dad. I didn’t feel bad leaving her at home, because she was with family. I think involving the perspectives of fathers can be an important part of the conversation! If it is assumed that only mothers want to stay at home with their young children, of course women will bear most of that pressure of trying to balance work and life, but when we involve fathers too more fully, e.g. they can also become the primary care giver, taking time off work, the conversation could change. That’s why I’m a big proponent for equal parental leave as an option! I love this! Yes — we want to do a future season with fathers. Many seasons, in fact! But we’re starting first with women for our first 100 interviews.